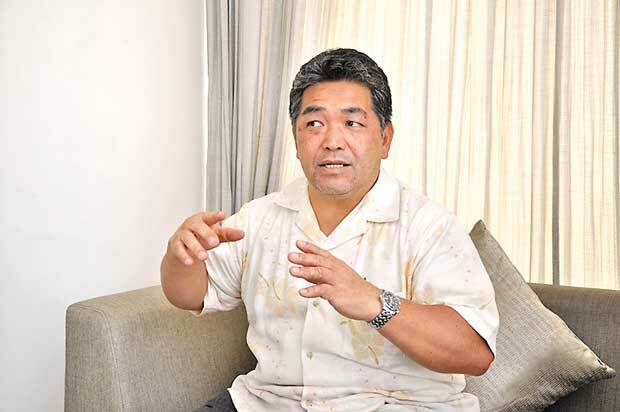 Japanese Entrepreneurs are ready to invest in development and business activities in Sri Lanka, said Chairman of the Japan-Sri Lanka Commerce and Industries Federation Fukugi Shimabukuro speaking to the media recently. Fukuji who is on a visit to the island for the purpose of exploring possibilities of setting up energy development projects said that leading entrepreneurs in the field of energy products from Tokyo, Nagoya and Osaka regions had joined with their organization. He lauded the Sri Lankan Commerce and Industry Chamber saying that it performs a pivotal role. The Federation’s senior Vice Chairman for the SAARC region, Ajith Waththuhewa said that he assisted in the setting up of this federation in Japan. He pointed out that Sri Lankan entrepreneurs could visit Japan in the future and have the opportunity of gaining knowledge in advanced technological projects. He expressed their desire to launch solar power and wind power projects in Sri Lanka. It is aimed to provide employment to a large number of persons in Sri Lanka through these projects and thereby strengthen them economically. He emphasized that they are presently owning 1700 energy projects in Japan which are environmentally-favourable, and the Japanese government is keen in establishing, environmental-friendly energy development projects instead of depending on atomic energy. With the onset of the Tsunami and its devastation, nuclear plants blowing up and the catastrophe Japan underwent, had driven Japan towards relying on eco-friendly projects.